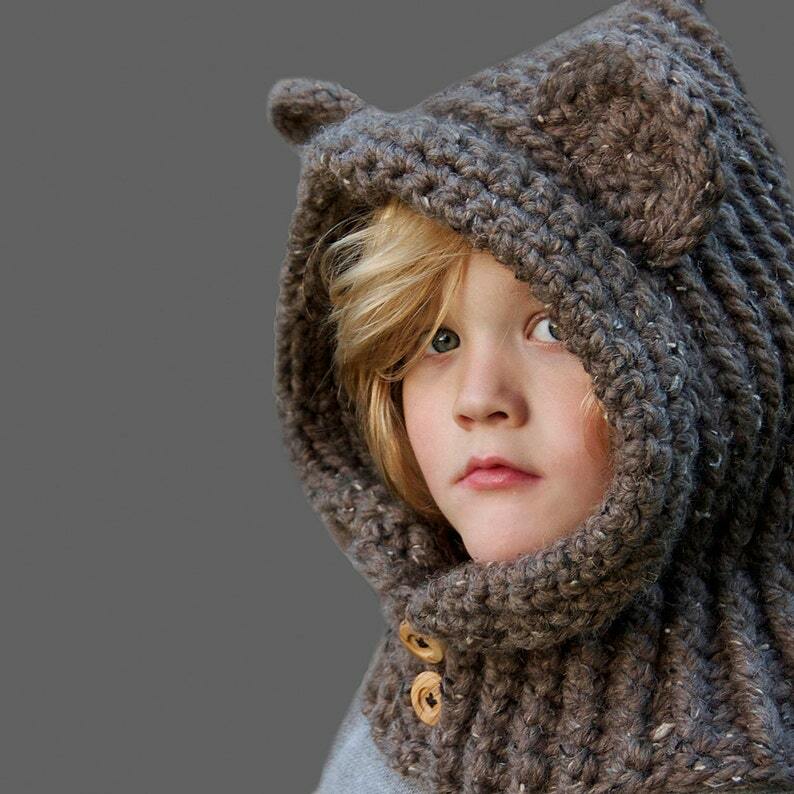 This luxurious crochet hooded bear cowl is perfect for keeping warm and looking great. Wear it on its own as the weather gets cooler and add an extra hat or headband for more coziness during those really cold winter days when a regular hat just isn’t enough. This pattern was so easy to make and turned out really cute!